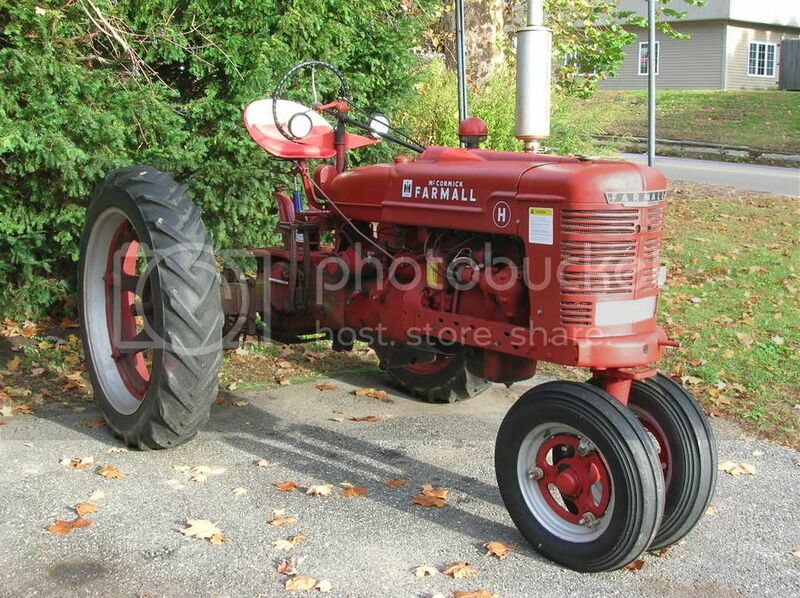 Starting all the way back in 1924, Farmall built tractors and other farm implements. The Farmall H, like the one pictured here, was called a row crop tractor and can be distinguished by the narrow front tire stance. Of the many models that Farmall built, the Farmall H was the second best selling tractor with almost 400,000 units being sold between 1939 and 1952. It was 1979 when the last Farmall tractor rolled off the line but recently Case IH, the owner of the Farmall name has resurrected the name in some of it's latest models of compact tractors, ranging from 31 to 50 hp.